PCUSA - Lectionary for Sundays and Festivals Scripture Reference. "A New Identity," Kathryn M. Matthews, Sermon Seeds, 2016. The Adventurous Lectionary, Bruce Epperly,Living a Holy Adventure, 2016. The Lectionary Lab, Pentecost +18, the Rev'ds Dr. John Fairless and Delmer Chilton (aka "Two Bubbas and a Bible"), 2013. Lectionary Lab Live podcast. "Holy Hating," D Mark Davis, Left Behind and Loving It, 2013. Evangelectionary, September 8, 2013, Peter Bush, Evangelism Connections, 2013. "Sacrifice and Artistry, Human and Divine," Bruce G. Epperly, The Adventurous Lectionary, 2013. Lexegete, Pentecost +15, David Buehler, Yr. Obt. Srvt., 2010. Jesus Now, Proper (Ordinary) 23C. Lectionary, study and worship resources from Faith Futures Jesus Then & Now. "Carrying the Cross," Karoline Lewis, Dear Working Preacher, 2016. "Weigh the Cost," John W. Martens, America: The National Catholic Review, 2016. A Provocation of the Gospel, Richard Swanson, 2016. "Choosing Life: It All Costs," Anna Shirey, Dancing with the Word, 2016. "Yada, Yada, Yada: A Cautionary Tale," Kim Jenne, Modern Metanoia, 2016. "Shaped by the Holy," Sermon-Stories.com, 2016. Choosing the Path of Life: Reflection on Deuteronomy, Anna Shirey, The Labyrinth Way, 2016. "Reshaped," Journey to Penuel, 2016. "Pay Up," Dan Clendenin, Journey with Jesus, 2016. "Do the Math," Bob Cornwall, Ponderings on a Faith Journey, 2016. "...to be fully alive," Suzanne Guthrie, Soulwork toward Sunday: At the Edge of the Enclosure. "The Politicss of Budgeting," Amy Allen, Political Theology Today, 2016. "Cross and Flag?" Nancy Rockwell, The Bite in the Apple, 2016. "I Hate You," Larry Patten, 2016. Lectionary Poetry, Scott Barton, 2016. "The Cost of Discipleship," David Lose, Dear Working Preacher, 2013. "It's Not About You," John Nunes, ON Scripture, Odyssey Networks, 2013. "Fearfully and Wonderfully Made: A Mother-Daughter Trip to Guatemala," Pentecost 16, guest essay by Beth Kawasaki, Daniel B. Clendenin, The Journey with Jesus: Notes to Myself, Journey with Jesus Foundation, 2013. 2010 guest essay by Bill McKibben. 2007 reflection by Daniel B. Clendenin. "How Not to Respond to an Evite," Alyce M. McKenzie, Edgy Exegesis, 2013. 2010. "Really, Jesus?" Sharron R. Blezard, Stewardship of Life, 2013. Christian Leadership Commentary, Cathi Braasch, 2013. "Estimating the Cost," Janet Hunt, Dancing with the Word, 2013. "The Purity of Hate," Rick Fry, 2013. "From Hate to Hope," Peter Lockhart, A Different Heresy, 2013. "...to be fully alive," Suzanne Guthrie, Soulwork toward Sunday: At the Edge of the Enclosure, 2013. The Man Who Quit Money, John Jewell, Lectionary Tales, 2013. Lectionary Resources, Bread for the World, 2013. "To Rest in Requiring Hands," Shannon Schaefer, The Ekklesia Project, 2013. "Counting the Cost: In Memory of Viola Liuzzo," Todd Weir, bloomingcactus, 2013. "Finding What Moves You," Steve Godfrey, Church in the World, 2013. "Extreme Love!" Thomas Beam, 2013. "Following Jesus into Earth: A New Reformation?" Robert Saler, Lutherans Restoring Creation, 2013. "Having to Hate??" Christopher Burkett, PreacherRhetorica, 2013. "Counting the Cost of Discipleship," Bob Cornwall, Ponderings on a Faith Journey, 2013. "Sharing Your Faith," sermon discussion from Frederick Buechner, Frederick Buechner Blog. "How I'm Like a Pencil," Steve Goodier, Life Support System, 2013. "Losing the Land of the Free," Andrew Prior, 2013. "For Real," Rick Morley, 2013. #fulcrumsermonthoughts, John Watson, sermon thoughts for everyday discipleship, 2013. "Alka-Seltzer Man," Larry Patten, 2013. "Your Most Important Sermon," David Lose, Dear Working Preacher, 2010. "Buckle Your Seatbelt," Jenny Williams, The Ekklesia Project, 2010. Dylan's Lectionary Blog, Proper 18C, 2007. Biblical Scholar Sarah Dylan Breuer looks at readings for the coming Sunday in the lectionary of the Episcopal Church. "Potters, Philemon, et al," Ann Fontaine, What The Tide Brings In, 2007. "Still Following Jesus," by Will Willimon. A Sermon for Every Sunday. Video sermons from America's best preachers for every Sunday of the Liturgical Year. "The Whisper of Courage," the Rev. Elaine Wilder, Day1, 2013. "Freeing our usefulness," the Rev. Dr. Frank Hegedus, Sermons that Work, Episcopal Digital Network, 2013. 16 Pentecostés, Propio 18(C) – 2013 por el Rvdo. 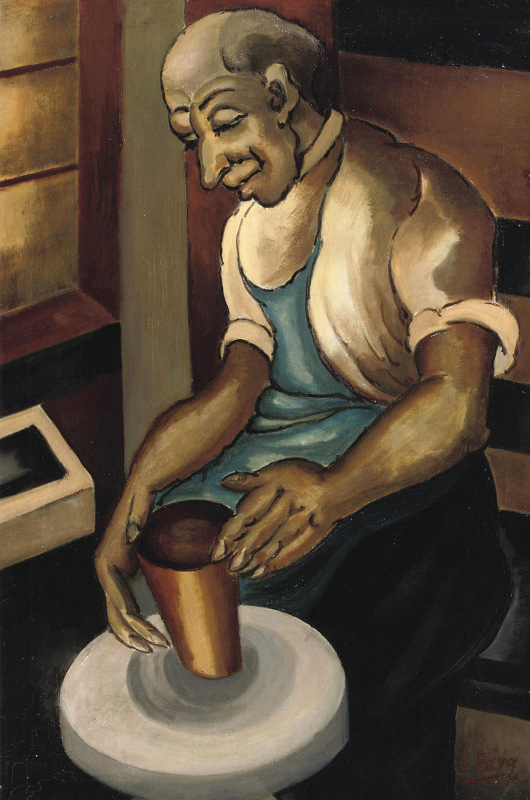 Abel E. Lopez, Sermones que Iluminan. "Who Are We Without Our Stuff?" the Rev. Laura Mariko Cheifetz, Day 1, 2010. "Discipleship Is Demanding!" the Rev. Dr. Leslie Holmes, Day 1, 2007. "Think Twice," Faith Element, 2013. "A New Identity," Weekly Seeds, UCC, 2016. Bible Study, Proper 18C, 2013, Kate Balmforth, Boston College, Sermons that Work, Episcopal Digital Network. Estudio de la Biblia. 16 Pentecostés, Propio 18 (C) por Kate Balmforth, Sermones que Iluminan, 2013. A Service of Holy Communion for Labor Day, General Board of Discipleship, United Methodist Church. Worship Resources, 16th after Pentecost, Rev. Mindi, Rev-o-lution, 2016. LCA Worship Planning Page, Pentecost +16, "Everything lay-readers need to prepare worship." Mustard Seeds, "Letting Go, Letting God," Proper 18 / Ordinary 23 / Pentecost 16, 2016. A lectionary-based ideas resource for leaders of contemporary worship, Ann Scull, Gippsland, Australia. Lectionary Liturgies, Ordinary 23, Thom M. Shuman, Presbyterian Church (U.S.A.). Proper 18C, prayers and litanies, Katherine Hawker, Outside the Box. Call to Worship, Joanna Harader, Spacious Faith, 2012. The Timeless Psalms: Psalm 139:1-6, 13-18, Joan Stott, prayers and meditations based on lectionary Psalms, 2016. Prayer for Proper 18, RevGalBlogPals, 2013. HermanoLeón Clipart, Ordinary 23. Free clipart, backgrounds, slides, etc. Clip Art, Ordinary 23C, Fr. Richard Lonsdale, Resources for Catholic Educators. Clip Art Images: Luke 14:25-33, Luke 14:25-33 #2, Misioneros Del Sagrado Corazón en el Perú. Ordinary 23 at Cerezo Barredo's weekly gospel illustrations. Follows Latin American Roman Catholic gospel reading. Liberation emphasis. The Cost of Discipleship, audio telling, story in episodes, graphic, audio and written commentaries. Go Tell Communications, Biblical Storytelling for the Global Village, 2010. "Costly Faith," faithelement, various mulitimedia approaches to this week's scripture texts. "Vase," video, John Stevens, Dollar Store Children's Sermons, 2013. Hymns of the Spirit Three, Proper 18C, Richard E. Hurst, Universalist National Memorial Church. Psalm Settings by Dale A. Schoening, Metrical Psalms: Psalm 139:1-6, 13-18 set to Maryton (LM), Psalm 1 set to Mendelssohn (77 77 77 77 77). Hymn and Song Suggestions, Proper 18C, 2016, annotated suggestions from Natalie Sims, Singing from the Lectionary. Worship Resource Manual, The Moravian Church, Southern Province. Worksheets for planning music in worship: hymns, anthems, solos, organ repertoire suggestions for RCL texts. Direct link to Proper 18. The Billabong, Sunday 23, by Rev Jeff Shrowder, Uniting Church in Australia: Hymn suggestions and paraphrases of lectionary Psalms. Choral Anthem Project, Ordinary 23C, National Association of Pastoral Musicians. Sing for Joy, Lectionary 23, 2007. Choral reflections on this week's lectionary readings, St. Olaf College. "God, the artist of the eARTh," On the Chancel Steps, children's resources by Frances Woodruff, 2013. "Little People, Big Word," D. Ditmer, 2013. 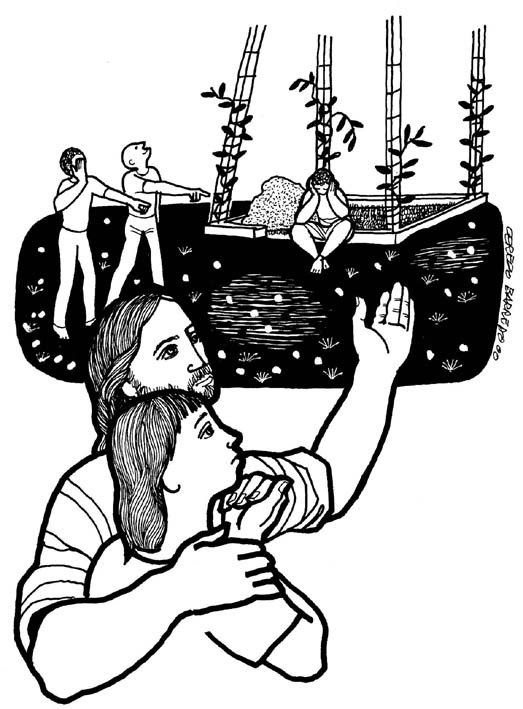 Story for Children's Worship and Family Activity, Ordinary 23, at word-sunday.com: A Catholic Resource for the Lectionary by Larry Broding. "Shaped by God," "Counting the Cost," Children's Sermons from Sermons4kids.com. Weekly Household Devotions, Faith Formation Journeys, 2016. Lectionary Puzzles, Proper 18/Ordinary 23. Word search puzzles in RTF or plain text, by Reg McMillan, St.Stephen's Presbyterian Church, Peterborough, Ontario.